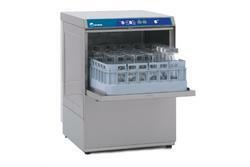 We are offering Undercounter Dishwasher to our client. The versatility of two washing cycles, and a large door opening helps you clean everything from lightly dirty glasses to the largest underplates, leaving nothing to be washed by hand. You have a wide range of optional baskets to choose from, to cater to any kind of tableware that you need washed. Star Aircon Engineering Pvt. Ltd.
“Haffix Equipment Technologies, are the pioneer in the field of supplying Finest Equipment’s for Hotels, Cafeterias, Food courts & Commercial Kitchens. We believe in providing the best quality products as per the requirements of the client in the shortest possible time. 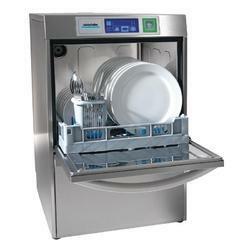 UC (400144) They offer great versatility, ensured by two washing cycles, a fast one for lightly dirty glasses and dishes and a standard one. Size (In mm): 590 x 600 x 820 ht.